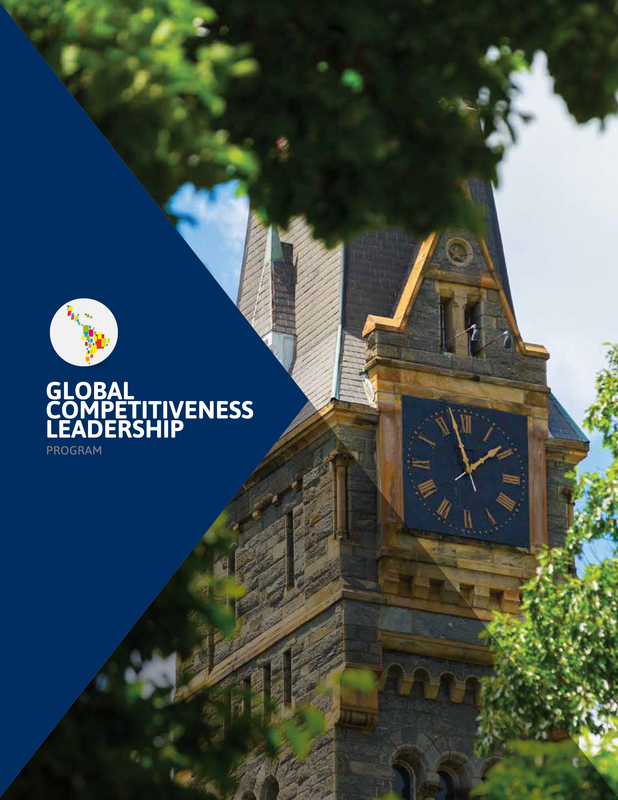 Global Competitiveness Leadership (GCL) is a one-of-a-kind leadership development program that awards young leaders with full and partial scholarships to participate in a 10-week program at Georgetown University, where participants learn about public, private, nonprofit, and personal leadership. Since its founding in 2007, the program has hosted 461 highly qualified candidates and helped them become future agents of change in Latin America. Check our new GCL brochure! Global Competitiveness Leadership (GCL) is a one-of-a-kind leadership development program that awards young leaders with full and partial scholarships to participate in a 10-week program at Georgetown University, where participants learn about public, private, nonprofit, and personal leadership. The program recruits highly qualified candidates and empowers them to become future agents of change in Latin America. What sets GCL apart from other leadership programs is that participants must develop a project to be carried out in their home countries. The implementation of these projects supports LALP's mission of leadership in action and produces a multiplier effect, which expands the impact of the GCL program throughout the region. GCL represents a life-changing experience for its participants and fosters a tight-knit and dynamic network of innovative leaders that supports positive transformation in Latin America.